Just a small amount of our Prosthetic Gelatine Blender will melt the edges of our gelatine appliances into the skin leaving a perfect, seam free application. The blender is solvent free and skin friendly. Rub the blender gently into the edge of your gelatine prosthetic with a clean cotton bud to create an invisible edge that will give your prosthetics a professional look. Watch the applications video below to see how to use the Prosthetic Gelatine Blender effectively. Please note that this product will not work on silicone appliances – use our Sil-Blend Paste to blend edges on our reusable prosthetics. Man this blender is awesome! It really helps to clear up the edges of the prosthetic to make it look real! This is a must for all gelatine prosthetics based applications. 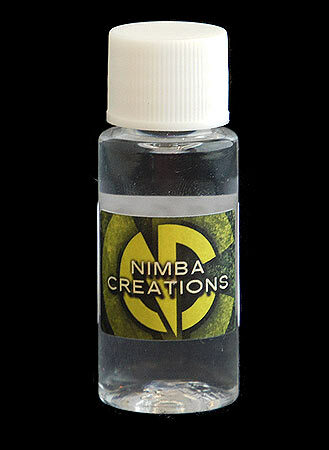 Blends rough edges to nice and smooth finish.